This is a hearth of black where Samurais gather. 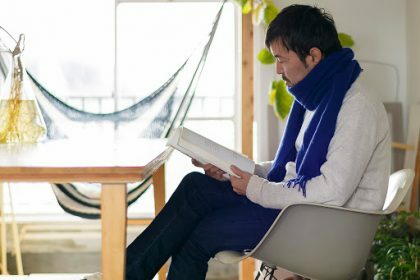 It is the third project to interface bamboo into living space following the previous one. 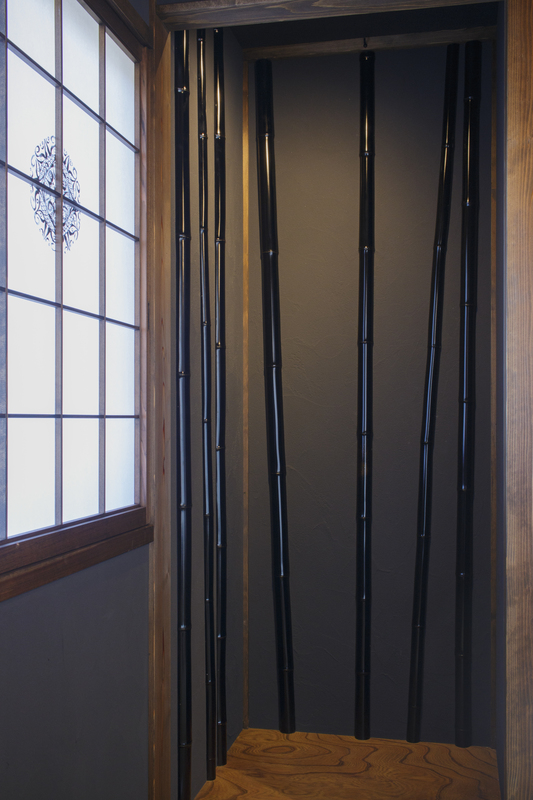 Bamboos colored black are used for Japanese-style room with a hearth. A hearth has a pothook engraved with fish or dragon and mainly used to hung and adjust their position iron kettle and pan. 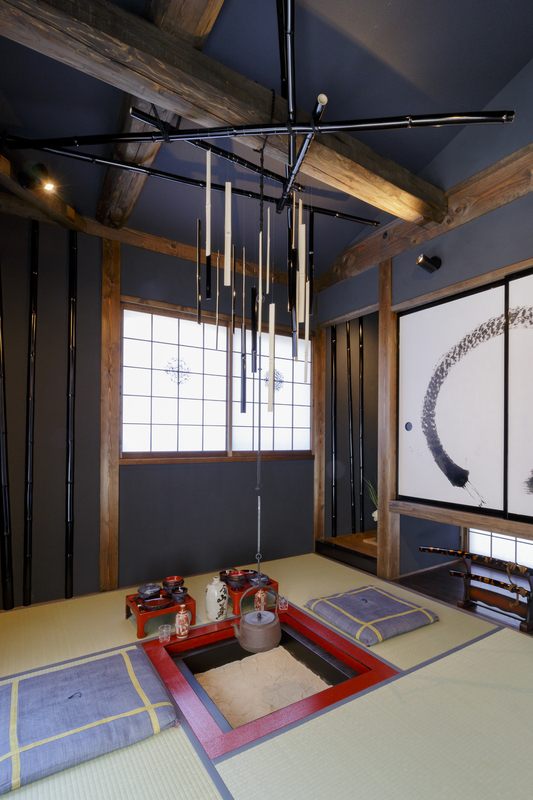 Japanese-style room is designed as a room with hearth where samurais drink alcohol, so ceiling is made with black plaster and shoji are painted with circles and motifs in black ink. 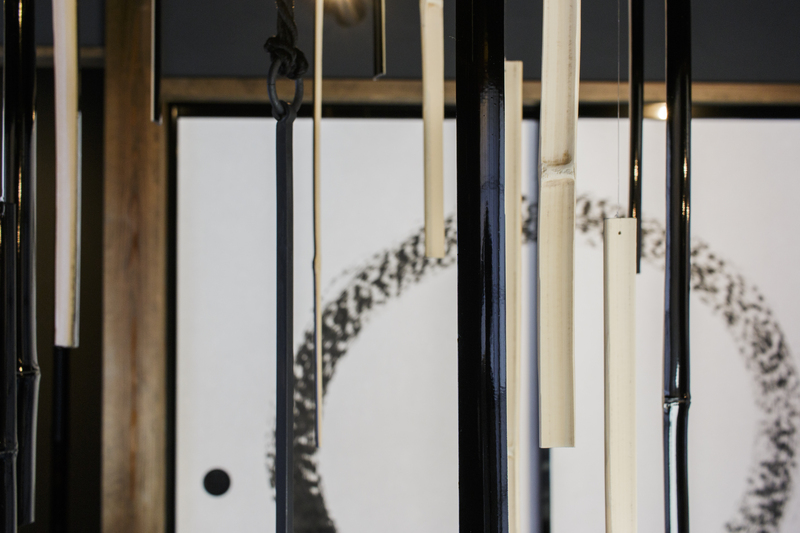 Bamboos hung among pothook are black-colored on their surfaces and un-colored inside created a subtle mood. 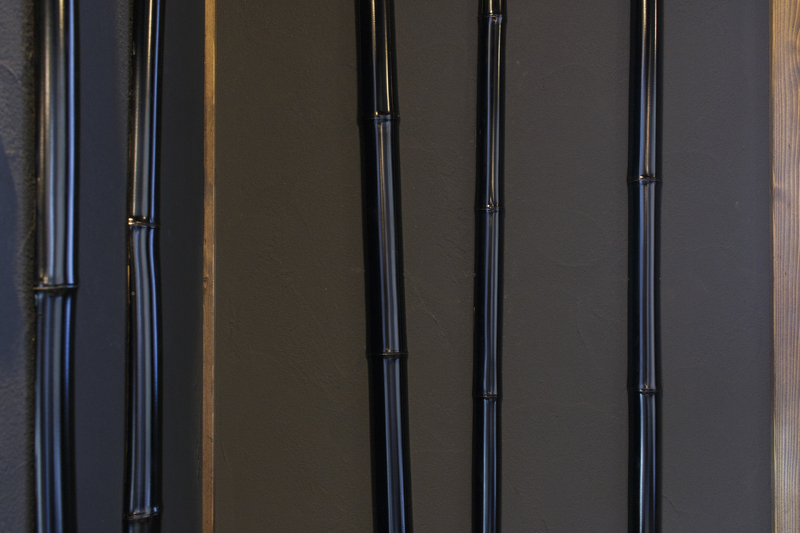 Black plaster colored wall and bamboo have differences in material and color which made the space interesting. There is a flower in iron vase at alcove which makes space cool but blight. 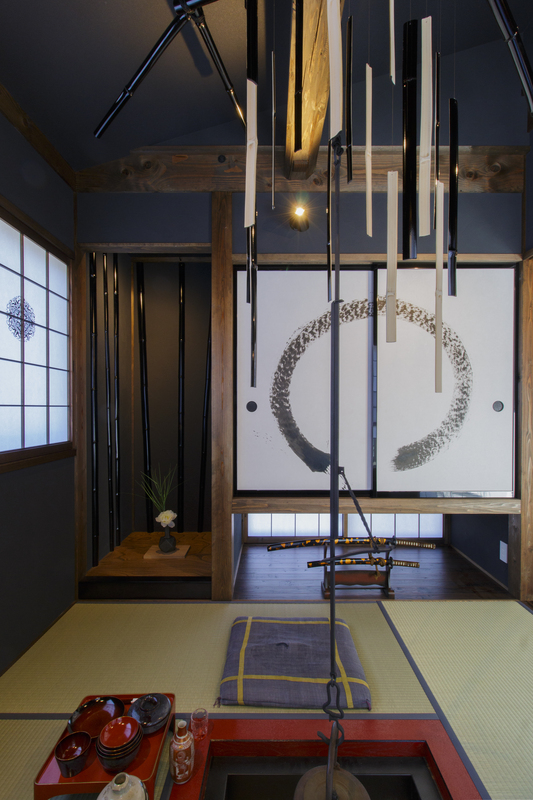 This is small space of four and a half mat rooms, but elaboration inside the room makes it interesting. 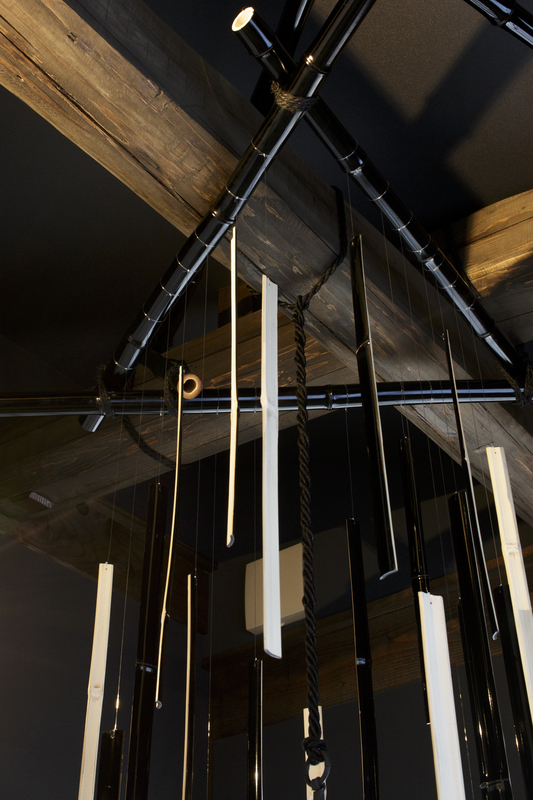 The owner likes this space and looking forward to sharing it with friends over drink. 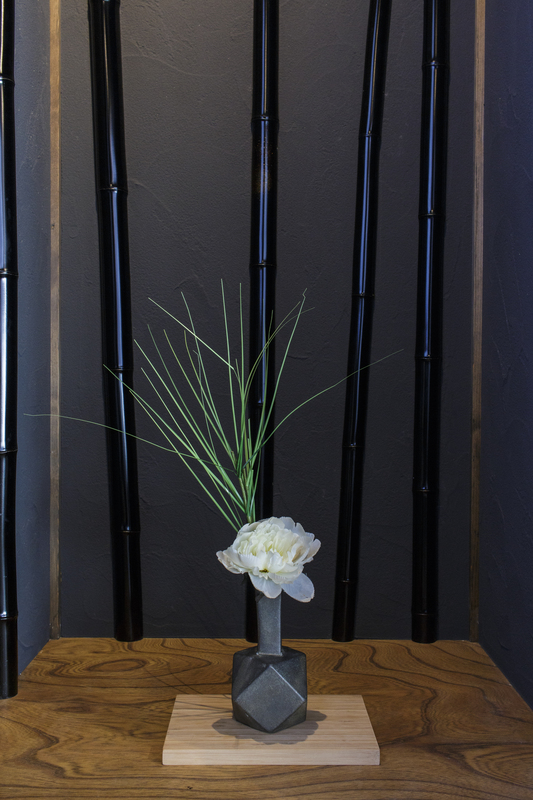 Elaboration with bamboos is suitable for Japanese-style room. 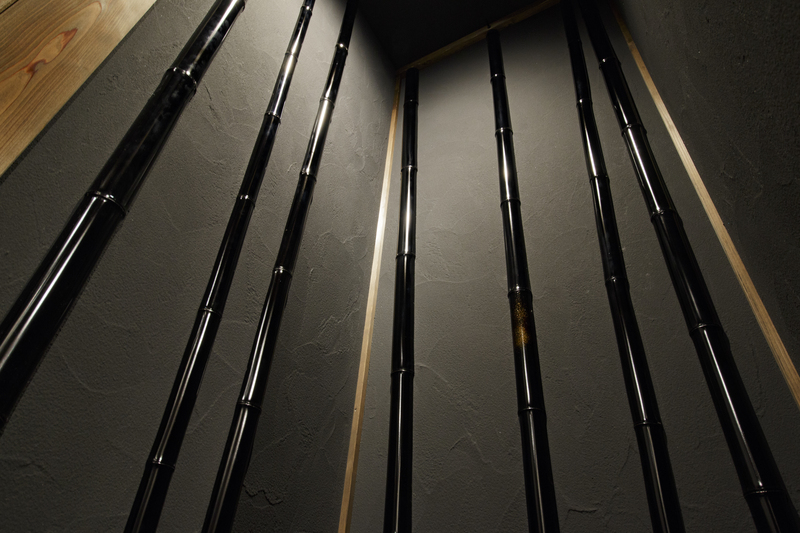 I will introduce bamboo partition for the next time!